Let’s start by defining the waist button. This is usually the middle button on a three-button suit, the top button on a two-button suit and obviously the only button on a one-button suit. 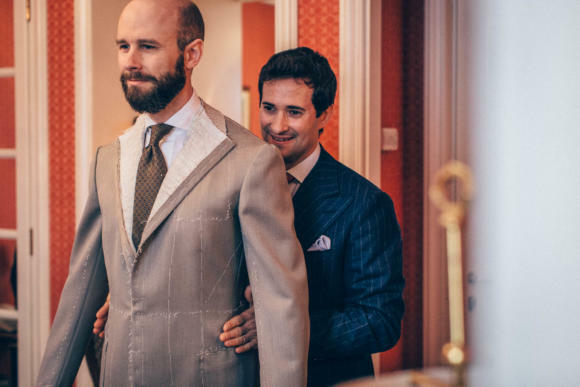 I say usually because this is the custom – it is the button that is placed at the individual’s waist, the place where the tailor has opted to place the narrowest point. There are a couple of inches of play there from the bulge of your rib cage down to the top of your hip bone. There are high-waisted and low-waisted jackets, just as there are high-waisted and low-waisted trousers (though to a lesser extent). The height of the waist button varies accordingly. The whole structure of the jacket is built off this button and the shape of the shoulders. The lapels curl down to this button; the line of the suit from armhole to skirt is largely determined by this button. Along with the neck point, it is the point around which everything else revolves. This is why men are always told to do up their suit jackets when standing. If they don’t, it undermines much of the point of a good it. All the tailoring is built off the shape created when the button is fastened. The only thing that makes less sense is only doing up the bottom button. But I’ve written about that at length before. It makes me mad. One quick and easy exception to the rule: weather is the main reason to do up the other buttons. For cold or for wind, you can legitimately fasten the other buttons to keep in heat or stop the skirt of your jacket flapping. This is the main reason downside of one-button jackets: you don’t have that option. The main exception to the rule, however, is true three-button jackets. Most three-button jackets have a lapel that is soft enough to roll back when the top button is left undone, leaving a straight line running down from the collar to the waist button. This is often referred to as a three-roll-two, because with the top button undone the jacket line looks almost like a two button. There are some jackets, however, that are built and cut to remain stiff at the point of the top button. When only the middle button is done up, the line above is kinked, angling into the lapel. There is no clean roll from the button to the collar. You don’t see many of these jackets these days, and I don’t think I’ve ever seen one from a bespoke tailor – but in that case the top two buttons should be done up most of the time. That is how the line of the chest and the waist is designed, and the jacket will sit more naturally when fastened this way. 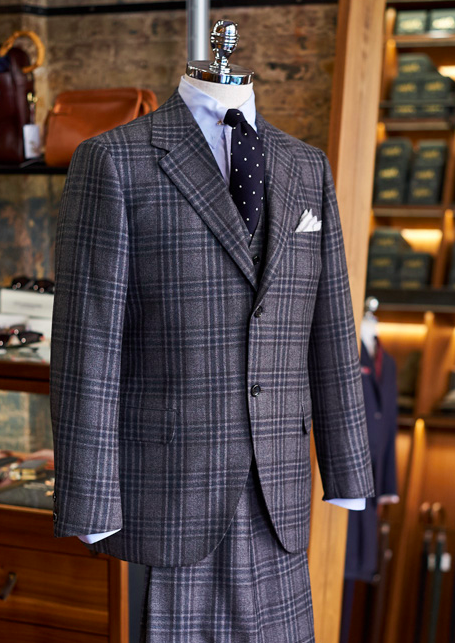 There is also a 1930s/40s style of jacket called the paddock coat, where there are only two buttons and both are designed to be buttoned up. It was made popular by John F Kennedy and is offered today by US-inspired tailors like Japanese outfit Tailor Caid (offered by The Armoury in the US). Here the buttons sit either side of the waist, and the top button is noticeably higher than normal. These last two examples of suit configurations are unusual, and it’s unlikely you have one of either type in your wardrobe at the moment. Bur understanding the exceptions helps understand the rule – and why it exists. You can follow the discussion on The rules and how to break them 4: The waist button by entering your email address in the box below. You will then receive an email every time a new comment is added. These will also contain a link to a page where you can stop the alerts, and remove all of your related data from the site. Please indulge the ignorant question, which I hope is at least approximately on-topic: What do the fractions mean when people talk about suit buttons? 3/2, for example, or 2/1. Does it mean “x buttons, of which y are fastened?” (I’ve tried to Google for an answer to this question but came up empty, and if it’s in Flusser’s DtM I missed it.) And if that’s right, then if someone buttons just the middle of three buttons on a 3-roll-2 jacket, would that be called a 3/1 or a 2/1? I have only come across that kind of description in reference to double-breasted suits. And I don’t think your examples would apply there. AP, I would say that the only guideline on buttoning a waistcoat is to button the number of buttons it is designed for. On some you can’t do up the bottom button. On others you can but shouldn’t. On some you definitely should. See what the piece is designed for and go with that. Remember, leaving it unbuttoned was just a fashion craze created by a stuffed King. It’s not a rule. Another question, if it’s not too much: is there a reason not to add a 3rd button to a 2-button navy SB blazer, perhaps steaming the roll to make it slightly softer but basically leaving it in place, thereby turning a 2-button blazer into a 3-roll-2? I would try this on a jacket I bought used, very cheaply, to experiment with. A navy blazer is somewhat about the buttons, isn’t it? Just two seems like not enough. I agree the buttons are crucial on a blazer. However, I would be wary of adding an extra button in this manner. The lapels are often canvassed specifically to roll to a particular point and may not take kindly or well to be distorted. Too often you see men that have ironed a true three-button jacket to try and make it roll to two. It just looks wrong. Wouldn’t you have to sew in your own buttonhole on the other side, anyway? Simon, thanks. The concern about the canvas was why I planned not to try really to alter the way it rolled. It currently rolls to 2, and I was going to add a third button but leave it as a roll-to-2. And yes, I would add a third buttonhole. But I think maybe that’s all too much work for a button that will be mostly hidden by the rolled lapel, anyway. The overall point, which you’ve convinced me of, is that a jacket’s buttoning scheme is one of the structural aspects it normally doesn’t make sense to try to alter. 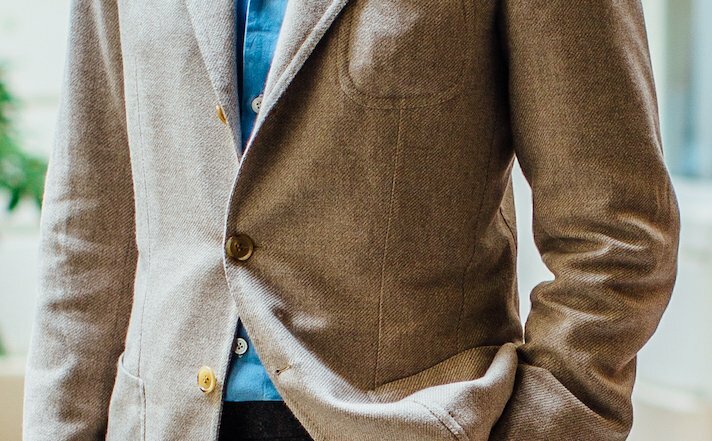 is there any way that a tailor can make a 3 button jacket into a 2 button jacket? 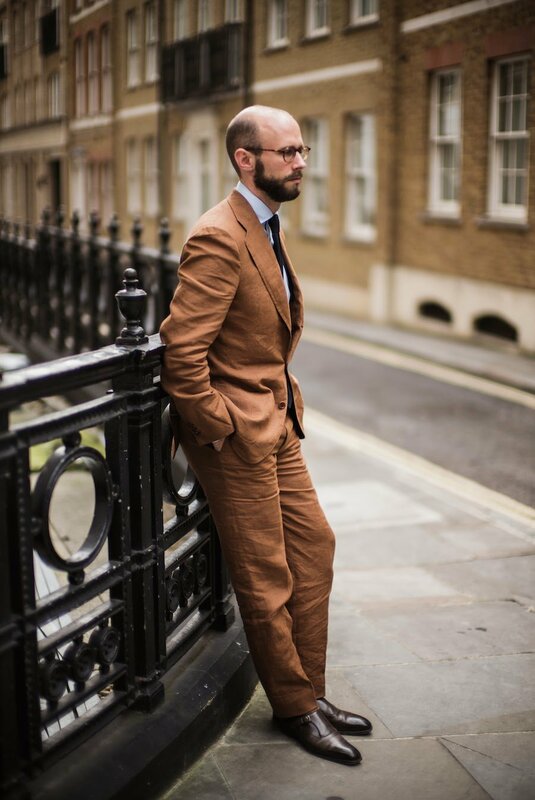 On 3 button suits, I always remember being told by a tailor: sometimes, always, never. This matches exactly your article. Phew! Also avoids giving the impression of a bathrobe flapping open. What is your input on button height? Do you suggest somewhere around the belly button area or it really is dependant on the person’s height? It should always be roughly around your natural waist (the slimmest area often, between your ribs and the top of your hip bones). But can be a touch lower or higher depending on style.